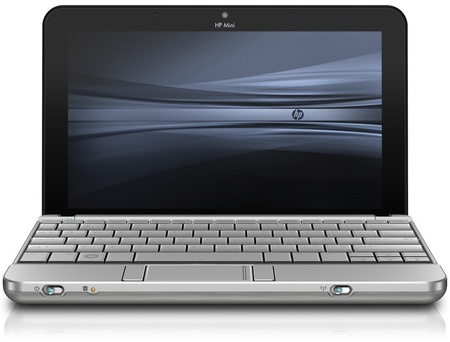 Review While most manufacturers seem happy to hurl out new netbook models at the rate of knots, HP is positively lumbering along. Back in May 2008, it released its first model, the Mini-Note 2133, and it's only just got around to releasing an updated version, the Mini 2140. HP may have opted to drop the word 'Note' from the little laptop's name, but the Mini 2140 looks almost identical to the Mini-Note 2133. It features the same sturdy aluminium chassis, with two USB 2.0 ports, Gigabit Ethernet, VGA and 3.5mm audio in/out sockets dotted along the sides. You also get an ExpressCard 54 slot and an SD card reader. The silver power and Wi-Fi sliders at the front require a firm shove, and both will dazzle you as to their status with ultra-bright LEDs. 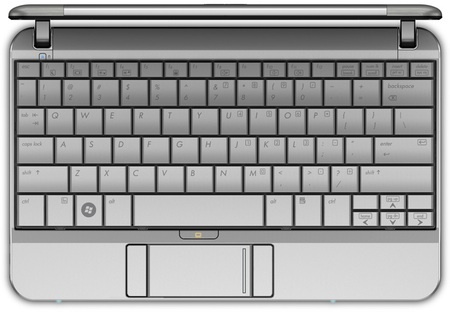 The keyboard on the 2133 was well received, and HP has, unsurprisingly, kept the same design with the 2140. With large, flat and ever-so-slightly concave keys, it makes full use of the space available. But with so little room between them, it's all too easy to accidentally slip your finger onto a neighbouring key when typing at speed. There's very little flex to the keyboard, and all the keys are where you'd expect them. However, the half-height arrow keys can be a pain to use if your fingers are feeling the burden of too many pizzas. As with the 2133, the 2140's trackpad has its left and right buttons mounted either side of it. Although utterly frustrating at first, we actually grew to like this design as it means your thumbs only have to travel relatively short distance in order to bash the left or right button. These buttons also benefit from being chunkier than on most others netbook and have a decent amount of travel. Size-wise, the 2140 comes in at 26mm tall at the front though 31mm at the rear. It's 261mm wide and 166mm deep. And with its three-cell battery, the Mini 2140 tipped our scales at just under 1.2kg. If you're going to be lugging the power adaptor around with you, the total weight increases to 1.6kg. A six-cell battery can be picked up for £79. Should you be fond of indulging in a bit of netbook hurling, you'll be pleased to hear that your data should remain intact thanks to HP's "3D DriveGuard" technology shutting down the drive when it senses a fall is on the cards. At least that's the idea – it didn't stop us copying files while simultaneously giving the Mini 2140 a rough ride, though.